It's may not be as big a deal as the past several scheduling shifts, but the gala opening for "Criss Angel Believe" at Luxor has now been pushed back from Oct. 10 to Halloween night, Oct. 31. The question I haven't gotten answered yet is: Does this mean the cancellation of the later shows from Oct. 11-Oct. 30? The previews that still will start on Sept. 26 don't have late shows. No real explanation has been offered for the gala change other than the fact that, according to a spokeswoman, Halloween always seemed the most appropriate night to debut this show. If that's so, though, what kept them from setting it up that way in the first place? Either way, it's looing more and more like the kids in my neighborhood will be getting no candy. And the only thing wilder and more dazzling than a Cirque du Soleil premiere party may just be a themed Cirque du Soleil premiere party. I've been busy finishing up my third and final OJ trial preview, this time for The New York Times. And still, nobody gives a damn, as documented by Jane Ann Morrison in her column this morning. I also have to finish an update to a travel website's Vegas section today (a week overdue), edit up some new Petcasts and a few other things I can't discuss yet. But the whole chatter in the prior post about the Las Vegas Sun's Twitter efforts for O.J. Simpson have finally broken down my resistance to yet another social-networking thingie. Mostly, that's because the Sun's Twittering on this case is actually useful and informative to me, so I set up an account, which you can find here. Twenty-three of you already have, which is more than the number of Sun follwers for O.J., telling you something about interest in the trial, I suppose. The bulk of what Twitter is, so you know, is a means of spitting out 140-character messages to your "followers" either online via text message. People can live-blog their own lives right down to the most mundane detail, like "stuck in traffic" or "bored today" or "i'm frying up eggs for breakfast." But media organizations are using it to send out little updates and newsflashes. I'm impressed that the R-J, Sun and other local media outlets have embraced this thing, usually sending out links to stories or quick bursts of information. Sadly, I've got a stupid old cell phone and can't do anything with these links, but if I had a Blackberry or something I imagine it would be more useful. Not sure what I'll do with this yet. I suspect this interest will fade out fairly soon. Surprised, that is, because there is no possible way that anyone has been Twittering updates FROM the courtroom. District Judge Jackie Glass has put such a severe restriction on communications devices up there that you can't even bring in your phone or any other remotely useful piece of communications device. Even in my case, where I really need to be in the courtroom because of my hearing disability and my need to use the hearing-assistive devices not available in the overflow media room. I have nobody to babysit my stuff and yet swearing a blood oath never to unsheath my electronics isn't enough to be allowed to just have it with me. It's an unfinished courtroom where journalists are watching the proceedings on a closed-circuit TV feed. It's also, according to fire marshals, a fire hazard of exposed wiring and such, so next week when opening arguments begin we'll have a new berth in some smaller, even less impressive digs. It wouldn't be not quite as glam, but it would be more accurate for the Sun to say they're Twittering from the courtHOUSE. Court administrator Michael Sommermeyer says the Sun has not had a reporter in the courtroom all week during jury selection. That said, I'm totally digging the coverage. But, in further evidence that there's not a whole lot of interest in this tawdry mess, only 14 people are following. One of them is me. The Golden Nugget announced today a multi-year deal with...Gordie Brown. The same Gordie Brown who appeared there regularly several years ago, then moved on to a showroom at the Venetian, then did some shows at the Planet Hollywood and now is on tour with Celine Dion. Gordie's due to start a five-night-a-week gig at the GN in February with a four-piece band. They're even renaming the showroom for him. LVW Column: Is Adelson a closet lib? As the election cycle heats up and money flies in every direction for the political parties and their causes, several members of the media have branded our own Vegas billionaire Sheldon Adelson the right-wing version of financier George Soros. The comparison is an easy one to make when you don’t dig much deeper than the superficial similarities. The Hungarian-born Soros is a known lefty billionaire who hands over shocking amounts of cash to MoveOn.org, to the Center for American Progress, to groups pushing marijuana legalization, physician-assisted suicide, abortion rights and gun control. Adelson, too, gives away eye-popping amounts of cash to certain conservative groups and is known to vehemently support many Republicans, including President George W. Bush and Nevada Gov. Jim Gibbons. Except here’s the big flaw in the analogy: Adelson is actually a liberal. No, really. He said so. I know because, last January while I was interviewing the CEO of the Las Vegas Sands Corp. in advance of the opening of the Palazzo, he said so. We were talking about his efforts to build a casino in Massachusetts, and he spoke highly of his interactions with Massachusetts Gov. Deval Patrick. When I remarked that the Democratic governor with strong ties to Barack Obama seemed an unlikely bedfellow for a man like Adelson, he pushed back. Here we go again! Enjoy our big chat with Planet Hollywood C.E.O. Robert Earl. Click on the date to hear it or right-click to download the show and listen whenever you want. Or subscribe via iTunes here or via Zune here. Making up is fun to do! After a year of conflict, the CEO of Planet Hollywood and Steve have buried the hatchet and, to prove it, Earl granted Steve his first podcast interview. In this wide-ranging discussion, Earl explains why he was upset, offers his view on why the Planet Hollywood brand collapsed and is now resurging, speaks of new expansion plans and acquisitions, and answers the question of whether the infamous “Planet Ho” sign was accidental. Also, find out who gave and loaded Robert Earl’s iPod and hear Earl's thoughts on Hans Klok, Steve Wyrick, George Maloof and whether anyone really wants to live full-time on Las Vegas Boulevard. Plus, details on the new Mirage volcano, a shakeup is rumored for the nightclub world, Point Break: The Las Vegas Spectacular and O.J., the Las Vegas dud. In Ho Chi Minh City, Vietnam, they have the War Remnants Museum, which documents the impact of several wars on the nation. Before the U.S. and Vietnam made up in the 1990s, it was known as the Museum of American and Chinese Aggression. It has such uplifting displays as a row of jars containing dead fetuses deformed by Agent Orange. A lot of laughs. It says: "Encircled and attacked interminably, the American soldiers lead their miserable lives at their bases." See all the photos in this series so far just by clicking here. Send along yours for the collection to TheStripPodcast[at]aol.com. Apologies to the Las Vegas Sun for claiming they did not correct in print the misspelling of a prominent black leader in Nevada in a recent piece. I had looked day after day, but it was a one-line correction and somehow I just missed it. I was alerted to this error by a friendly note mailed to my home by editor Tom Gorman along with a copy of that day's paper. So my bad. 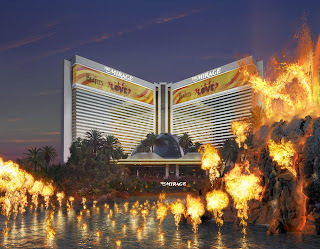 There ya go - here's the first look at the rendering of the new Mirage volcano, which MGM Mirage is plunging $25 million into and which is expected to open by year's end. * Massive fireballs will leap 12 feet into the air, thanks to the "latest developments in flame-expression technology" from WET, the folks behind the Bellagio Fountains. Lava will "flow" down the mountainside, perhaps much as it used to and the technology will "bring Las Vegas' signature blast within feet of spectators." * There will be a musical score created by Grateful Dead drummer Mickey Hart and Indian music phenom Zakir Hussain. "Zakir and I immersed ourselves in the legends and myths and studied what really makes a volcano work," Hart says in the press release. "The result, a true union of the senses, will rattle your bones, just like a real volcano." * It will a 7-minute show, considerably longer than the 2-minute original. * Mirage president Scott Sibella, responding to Robin Leach's question, said they did consider moving the volcano off the sidewalk and closer to the building or inside. Steve Wynn, who created the feature, has said it was a mistake to give away the free entertainment and not force people to come inside. "It is something that we considered, but we knew we had this icon for going on 20 years," Sibella said. "We are thinking about ways to flow the people into the property in an easier manner." It is also interesting that the press release says this is "the final step in the property's ongoing transformation." Final? It's always been my impression that, as Robert Earl mentioned on this week's podcast, there always must be something new coming up. Then again, the Mirage turns 20 next year, so I'm sure plenty of attention will be drawn to that. 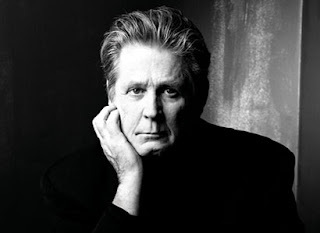 So this morning I open the Review-Journal to read Doug Elfman's odd interview with Brian Wilson, who performs tonight in the showroom at Primm. It was one of those strange reads in which Elfman offers this disclaimer: "I caught Wilson on the phone while he was rushing to the airport, so our interview was more weird and strained than our previous chats." And I thought to myself, "How unprofessional! Reporters shouldn't blame their subjects for their own failures!" Then, several hours later, I had my own crack at Wilson. It was a bit of a surprise; ticket sales must not be going too well if his publicist is setting up interviews at noon the day of the show. Yet my request for our show finally came through and I had about 90 minutes to prep. (b) The problem wasn't that Wilson was rushing to the airport. Wilson was just hanging out in a Vegas hotel room when I caught him and, even in the absence of other stress, he offered me one of the more bizarre interviews I've conducted in a while. Wilson and I were on different planets, and not in the charming way Liza Minnelli was two years ago. We'll be playing it on the show probably next week. It's mercifully brief, oddly instructive and listeners will, I suspect, enjoy my suffering. But, happily, an hour later I had a rollicking chat with comic Bobby Slayton, restoring my confidence that it wasn't me having an off day. Slayton will be on the week after next, I think. There's a groundbreaking tomorrow for a proper parking lot out by the 49-year-old "Welcome to Fabulous Las Vegas" sign that has for years been a terrifying traffic and pedestrian hazard south of the Mandalay Bay on Las Vegas Boulevard. This photo from the Rocky Mountain Roads website illustrates well the problem out there. People just park in traffic lanes, drive up onto the median, park at small businesses nearby and run across a busy road. I've often been amazed we don't hear about more traffic fatalities caused by the constant need to park or walk in a dangerous manner in order to get that iconic photo. I've even seen limos of bridal parties park on the turf laid out in front of the sign. The $416,000 parking lot will feature 12 spots carved out of the southern portion of the median. There will be two handicapped spaces and some new landscaping, too. It's due to open in late November. That seems like a lot of money, but I don't know much about these sorts of contracts. Fact is, it's currently a public safety hazard and something that someone should've thought of doing many years ago. The Strip is LIVE tonight w/ ROBERT EARL! What a difference a year makes! Last fall, the Planet Hollywood CEO Robert Earl vowed never to speak to me because of an article in the UK media about the brand relaunch upset him. But last month, we buried the hatchet and this week he granted his first podcast interview in which he discusses our feud, his latest business dealings and, yes, even whether that "Planet Ho" sign was intentional! Join us in the chat at LVRocks.Com from 7-8 p.m. PT for this week's live show. Plus, we'll discuss Vegas news, catch up on listener feedback, have a new poll and, as always, the Top Secret Tourist Tip of the Week. Or wait till Thursday for the podcast. 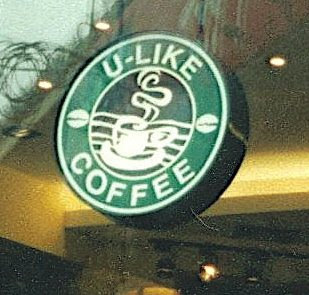 This one was a prominent cafe in Shanghai in 2001. Look familiar? Don't know if it's still there. See all the photos in this series so far just by clicking here. 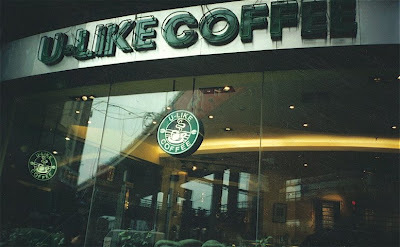 I wonder if they served pumpkin spice lattes. I'm thinking not. Prepping for Cirque du O.J. 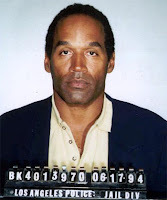 Tomorrow, jury selection begins for the O.J. Simpson robbery case here in Las Vegas. I've already done two somewhat different previews, this one for Newsweek and this one a few days later for the Agence France Presse. They're kind of a case study in the differences in tone, style and substance demanded from different media outlets. So far I can't gauge whether the public even cares, but the Newsweek piece has been up for three days and there's been just one comment. That's saying -- or not saying -- something. I suspect the politics-obsessed nation will largely tune out until the verdict unless O.J. takes the stand. Indeed, what did draw a ton of reaction for Newsweek, much of it irrelevant to the story itself, was my exclusive sit-in at a focus group in Las Vegas on Wednesday night as they viewed the Palin address. The two groups of swing-state undecided voters, one married women and one unmarried women, had a lot of interesting things to say about Palin and politics, much of which no man could possible get away with. I even heard New Yorker editor Dorothy Wickenden on the magazine's Campaign Trail podcast misrepresent the findings; she said that the participants overall had lower opinions of Palin after the speech when, in fact, even the most critical people had at least some improved view, improved in many cases from a zero rating. You can find my piece here. It's the second part of a women-react package, so scroll down a little bit. It's always nice to scoop the local media on a story of national significance in their own backyards. So today I've got to read the papers, finish a travel story and get going on watching my DVD sets of Criss Angel's "Mindfreak." And that's all I'm gonna say about that.